Covering Maidstone & Medway (Gillingham, Chatham, Rainham), Tonbridge & Tunbridge Wells, Sevenoaks, Ashford & Canterbury, Bromley & Beckenham Sidcup & Orpington, Gravesend & Dartford Sittingbourne, Margate & Ramsgate, Whistable & Herne Bay and Dover & Folkestone. We are a small Family run business with over 10 years of experience and all my staff have attended courses in the various cleaning services we offer. 80% of our business is residential carpet cleaning and 20% is commercial carpet cleaning. We don’t just have one method of carpet cleaning we have truck-mounted Steam machines, portable Steam machines, Dry and Dry Shampoo. We have been retained as the preferred carpet cleaner for some of the major letting agents in Kent i.e Savilles, Hamptons, Connels, Your move etc. 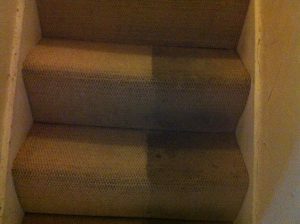 Most letting agents will demand an invoice with a professional accreditation before they release your deposit a novice carpet cleaner will not be able to provide this we will!! So if your coming to the end of your tenancy or your moving into a new home we are the first carpet cleaner to call!! Our carpet cleaner will test the carpet and select the correct method of cleaning which will be most effective, without causing any damage to the carpet. We will discuss any concerns you have about the process, such as whether the carpet will shrink, or how long it will take to dry. There are 4 Methods of carpet cleaning available to carpet cleaners today, these are Shampoo, Bonnett, Dry (Compound) and Hotwater Extraction. 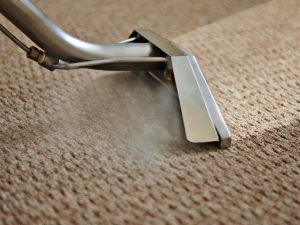 Our preferred Method of carpet cleaning is Steam cleaning. Portable Hot Water Extraction Machine. The portable hot-water extraction machine is a unit that can be bought into a property. Has a hot water injection side and a twin Vacuum extraction side. We use a Pro-chem Power-max machine which we have found the best in terms of suction and reliability. And most important the safest to use in your home. This is not as powerful as the Truck-mount but with the correct training and additional tools (Rotary Scrubber), you can still get a truck Mount result. The Truck Mounted System: Built in America there are very few companies who have to built their business to afford one of these, we have two!! Industry reknowned for being the most powerful for of carpet cleaning around. More Heat, More Water Pressure, More Suction. From our business point of view it massively improves our productivity meaning we can do more jobs in one day than a Portable operator. It also gives us tiled floor cleaning and Graffiti removal capabilities. Average price of a truck mount £20,000, portable £2,000 as with everything in life you do get what you pay for!! Chemical PH Levels and the Chemistry of cleaning. An overview of various pre-existing defects in carpets and how to recognise these. As a company we see massive value in training our staff. 1) Pre-Vacuum vitally important as this removes 80% of dry soil. 2) Pre-spray: The area will be dusted with a high Alkaline, soil freeing Chemical. Our Carpet Cleaner will determine the optimum level of akaline which can used on each particular carpet without causing damage to the carpet. 3) Agitation: Using a carpet shampoo brush with a rotary machine, the alkaline chemical is worked into the fiber of the carpet loosening the soil. 4) Extraction: Using the optimum amount of heat and moisture application, our carpet cleaners will now extract the soil allergens and pollutants from the carpet with the Truck mount Carpet cleaning machine!!! 5) Spot and staining techniques: Applied in conjunction with the extraction process, our carpet cleaner will use neutral, Akaline and solvent stain removal products. These products work on many of the general household spots and stains. 6) The moving of furniture: Our carpet cleaner will try wherever possible to move beds and TV systems obviously this depends on weight (Health and Safety) and the Price of the Item. We clean for health not just appearance, ask yourself where do you think the most dust is in your house?